Here’s a list of websites that we think might be useful to you. Please bear in mind that these websites are published and operated by third parties who are not affiliated with or in any way related to the ArabicMusicalscores.com website. We are not in any way responsible for the content of any of the following externally linked websites. Oud For Guitarists Extremely good website on Oud. Lots of resources on Oud and lots of interesting videos, tutorials and Oud lessons. The oud (or ud) is one of the most popular instruments in Middle Eastern music. Its name derives from the Arabic for 'wood', and this refers to the strips of wood used to make its rounded body. Online Shops These are online stores. We are NOT affiliated with them in any way and we do NOT earn commissions. You may buy from them at your own discretion. Maurice Ouds An online store providing customers with Middle Eastern Ouds made by the Egyptian oudmaker, Maurice F. Shehata. 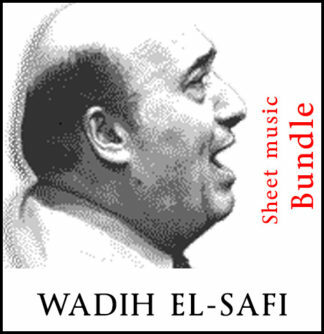 Maqam World A very extensive theory website about the maqamat in the Arabic music. Wassim Njeim is now offering Online Oud (Ud) lessons via Skype, Whatsapp (video) or any other app that allows video conference. Wherever you are around the world, you can now learn the Oud from your own home! You will learn the basics of music, the music theory as well as the reading of music. You will learn the vocabulary, the musical language, all forms of musical rhythms, as well as how to count properly while playing. Oud and Risha techniques: Movement and plucking the Oud. Basic and advanced techniques. Lessons based on traditional and academic music pieces (Bashraf, Samaii, Longa, etc) as well as popular songs. Sheet music and copies of the exercises are included in the lessons.